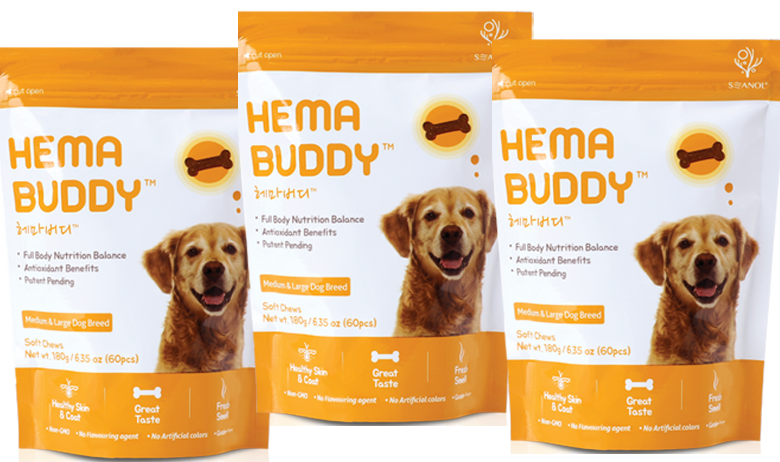 Hemabuddy™ is a chewable supplement formulated with the super antioxidant-enhanced HemaComplex™ that can support whole-body nutritional balance, healthy metabolism, and emotional well-being in dogs of all ages and sizes. The great tasting, readily absorbable supplement with antioxidant benefits promotes logevity as well as healthy skin and coat. Great taste, and ready absorbtion formulation for quick manifestation of its great benefits.